It's official, GM has added OTA updates for the Chevrolet Bolt EV, and it's not just to make your radio better. We've been aware for some time that over-the-air updates were coming for the Bolt, at least in some capacity. What we weren't sure of is how long we might have to wait, how far GM would go with it, and exactly how the system would work. The battery calibration software must be done at the dealer and is not available over the air. In the past few days, mostly due to the story about the potential Bolt battery failure and GM's related statement, talk of OTA updates has escalated. However, as far as we could tell, even if the remote updates were initiated, this problem would still require a visit to your local dealership. It seems that almost overnight, the story may have changed. Perhaps not having to issue a recall and deal with a wider amount of negative press, GM got its act in gear to quickly move forward with the new technology? Not only do we have the automaker's official letter (attached below), but also the following video explaining the OTA process and how it works. While we are not 100 percent certain that the recent battery warning notification issue will be able to be fully addressed via the free OTA technology, that seems to be the idea. The letter specifically mentions the 2017 Chevrolet Bolt. So, once we're able to glean more solid details, we'll update this post. It's important to note once again that GM contacted us with a statement verifying that the battery concern only impacts 2017 Bolt EVs and is not being treated as a safety recall. 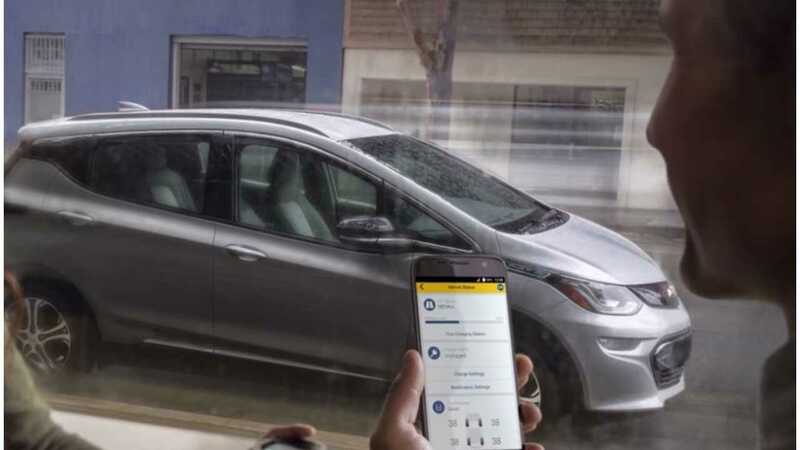 You can visit the My Chevrolet page to learn more about OTA updates and other aspects of your Bolt EV. This notice applies to your vehicle, VIN: 1G1FW6S06H-----------. As the owner of a 2017 model year Chevrolet Bolt EV, your satisfaction with our product is very important to us. This letter is to inform you of new software updates that will soon be available for your vehicle. Depending on its configuration, your vehicle may require two updates. The software updates will improve phone connectivity, display resolution, rear camera operation, and prevent instances of intermittent screen freezing. The updates will also remove certain video playback functionality and improve the ability to perform software updates to your radio. This service will be provided for you at no charge. We are rolling out the software updates to vehicle owners in phases beginning April 2018 through August 2018. Updates will be performed remotely, through in-vehicle prompts from the radio display. 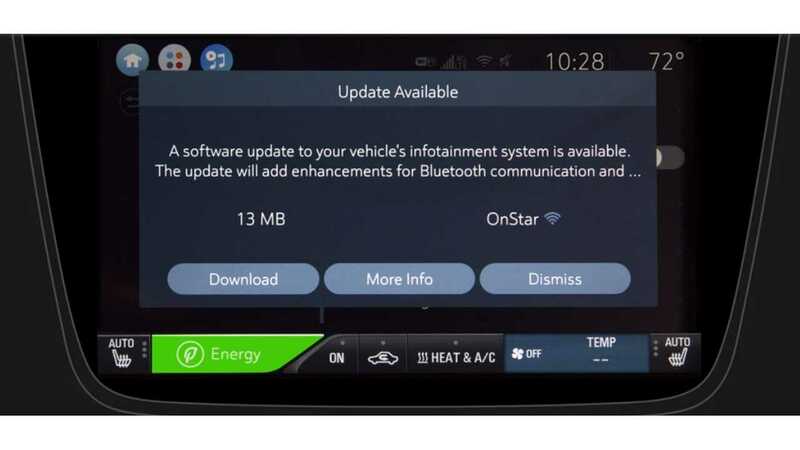 When a software update package becomes available for your vehicle, you will be notified through those in-vehicle prompts. To ensure successful completion of the update, please review the enclosed information. The download and installation of the software updates will occur in steps. You may be asked to accept the download of the software update package. The vehicle must be parked to accept the download, but after the download is accepted, you will be able to use your vehicle normally during the download process. Once the download is completed, you will then be asked to accept the installation of the software update package. During installation of the software update package, your vehicle must be parked. You may also notice one or more system resets during the installation process. IMPORTANT: You do not need to remain in your vehicle during the software installation. The vehicle cannot be driven during the software install process (up to 10 minutes). The vehicle must be parked at a safe and secure location with the ignition in the OFF position during installation. Also, electric vehicle battery charging cannot occur during software installation. Please ensure that your charging cable is unplugged prior to starting the installation. Once the installation is complete, you may plug in your vehicle and resume normal charging. If you receive a message that the installation cannot continue or did not complete successfully, the installation process may retry after your next ignition cycle. If the problem persists, please contact your dealer for assistance with the software update. You can also decline the update by selecting the "More Info" button, and then the "Decline Update" option. If you decline the update, you can still receive it at a later date by contacting your dealer. This programming opportunity will be in effect until April 30, 2020. We want you to know that we will do our best, throughout your ownership experience, to ensure that your Chevrolet Bolt EV provides you with many miles of enjoyable driving. If you have any questions, please contact the Connection Center Team at 877-558-8352, 7:00 AM to 10:00 PM, Eastern Standard Time (EST), seven days a week. Hat tip to Fabian La Maestra and Brian R! Keep the conversation going on our Forum. Follow the thread about this article and make your point heard.